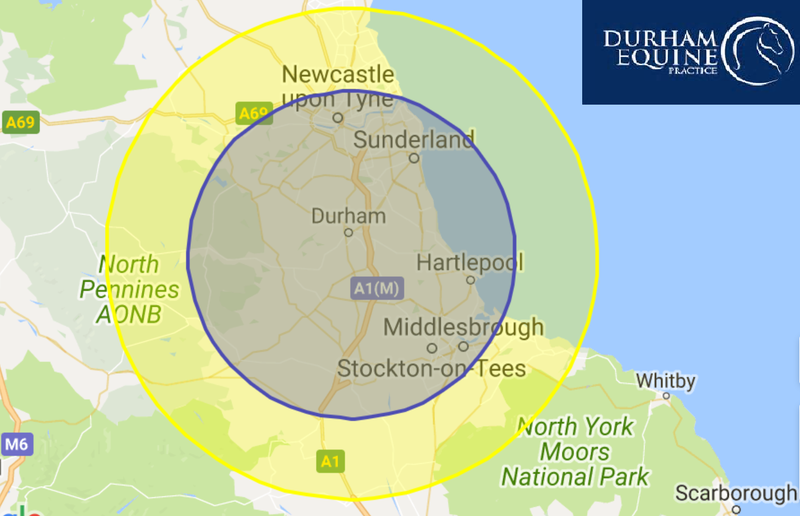 Durham Equine Practice is a dedicated veterinary practice providing an exclusively on-site service solely for the care and treatment of horses. The practice was established in 2010 by Nicola Mason, an experienced veterinarian with a lifelong passion for horses and joined in 2011 by her partner Richard, a qualified pharmacy technician. Richard also has an honours degree in Zoology from Newcastle University. With a need to expand, the practice relocated in 2014 to its current premises 'The Granary' in the picturesque surroundings of the historical Croxdale Hall, just south of Durham. Our practice strives to offer an efficient 24-hour service, dedicated to providing nothing but the best clinical care for your horse. Opening hours are 8.30am - 5.00 pm Monday to Friday. We offer a 24/7, 365 days a year service. If you require a vet out of hours, please call the usual office number on 0191 603 1122. Your call will answered by an operator who will contact the duty vet on your behalf. We aim to provide a rapid response in the event of an emergency.